Discounts range from 10% - 15% depending on method of payment (cash, check or credit card). You must pay your balance within 30 days from date of service to receive your discount. If payment was made at the time of the service and there is a difference between your final bill and the estimated amount, determined at the time of service, the discount will be extended for 30 days after the time of service for the difference. HSCMH will bill your insurance and/or Medicaid and Medicare for you. HSCMH accepts most major credit cards. If you cannot pay your bill within 30 days, HSCMH has flexible payment installment arrangements. To arrange a payment plan patients must contact our extended business office, First Party Receivable Solutions at 855-484-1299. Please keep in mind each new visit must be added to your pay plan to keep it current. In order to properly bill you and your insurance, each hospital visit must be billed separately. If you would like to have them combined on your statement, please contact our extended business office at 855-484-1299. If you have a balance, and need to pay over time, please refer to the balance/payment table below. The Business Office may grant a guarantor a reduced payment contract on a one-time basis for a three month period (90 days), in order to meet a patients/guarantor's short-term financial needs. At the end of the 90-day payment exception period, the patient/guarantor will be expected to either pay the balance in full, or make payment arrangements according to HSCMH terms noted above in the "Payment Contract" section of this page. For more information regarding payment arrangements, please call 307-864-5095. We are happy to work with you to keep your account from being sent to collections, but accounts must be kept current. As prices for services are changed periodically, it is the policy of Hot Springs County Memorial Hospital that all patient requests for price quotations should be forwarded to Patient Financial Services. Patient Financial Services will then gather as much information as possible to give an accurate quote. They will also inform the patient of other possible costs regarding services and/or procedures. It is possible to not be able to provide quotes for some procedures or inpatient stays as there are many variables involved. 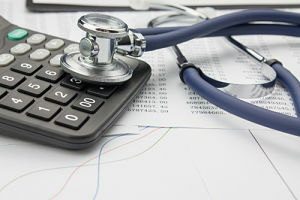 On August 2, 2018, the Centers for Medicare & Medicaid Services("CMS") issued a final rule (CMS-1694-F) updating Medicare payment policies, specifically requiring hospitals "make available a list of their current standard charges via the Internet in a machine readable format and to update this information at least annually, or more often as appropriate." Hot Springs County Memorial Hospital analyzed our current charges through 12/31/18. Hot Springs County Memorial Hospital determines its standard charges for patient items and services through the use of a chargemaster system, which is a list of charges for the components of patient care that go into every patient's bill. These are the baseline rates for items and services provided at the Hospital. The chargemaster is similar in concept to the manufacturer's suggested retail price ("MSRP") on a particular product or good. The charges listed provide only a general starting point in determining the potential costs of an individual patient's care at the Hospital. This list does not reflect the actual out-of-pocket costs that may be paid by a patient for any particular service, it is not binding, and the actual charges for items and services may vary. Many factors may influence the actual cost of an item or service, including insurance coverage, rates negotiated with payors, and so on. Government payors, such as Medicare and Medicaid for example, do not pay the chargemaster rates, but rather have their own set rates that hospitals are obligated to accept. Commercial insurance payments are based on contract negotiations with payors and may or may not reflect the standard charges. The cost of treatment also may be impacted by variables involved in a patient's actual care, such as specific equipment or supplies required, the length of time spent in surgery or recovery, additional tests, or any changes in care or unexpected conditions or complications that arise. Moreover, the foregoing list of charges for services only includes charges from the Hospital. It does not reflect the charges for physicians, such as the surgeon, or other physician specialists or providers who may be involved in providing particular services to a patient. These charges are billed separately. Charges for healthcare services are complex and comparing line item charges does not indicated the total cost of the service you receive. We recommend you contact our staff to request an estimate of the total cost of the service you are scheduled to receive. Please call Jessyca in Patient Financial Services at 307-864-5095 with any questions. Thank you! If you find that you are unable to make the payments outlined under "Payment Contract," and require a payment exception for a period greater than 3 months (90 days), you may complete an application for financial assistance. Please contact our Financial Counselor, Jessyca Rodriquez at 307-864-5095 for more information on the HSCMH Financial Assistance/Charity Care form. It is the policy of Hot Springs County Memorial Hospital to treat the broadest number of patients residing within our service area while maintaining fiscal responsibility. Financial assistance is available for all services that are emergent or medically necessary. To be eligible for financial assistance, your household income must be at or below the federal poverty income guidelines and you must have exhausted all other means of assistance. If you think you could be eligible for financial assistance, please contact Hot Springs County Memorial Hospital (HSCMH) our Financial Counselor within 60 days of receiving a statement. We will inform you of the requirements that must be met prior to your application for assistance. You must apply to Medicaid to be considered for financial assistance. Financial assistance is generally determined by a sliding scale of total household income based on Federal Poverty Guidelines (FPG). No person eligible for financial assistance under our Financial Assistance Policy (FAP) will be charged more for medically necessary care than amounts generally billed (AGB) to individuals who have insurance covering such care. HSCMH determines AGB based on all claims paid in full to HSCMH by Medicare and private health insurers (including payments by Medicare beneficiaries or insured individuals themselves), over a 12-month period, divided by the associated gross charges for those claims. If an individual has sufficient insurance coverage or assets available to pay for care, he/she may be deemed ineligible for financial assistance. Please refer to full policy for a complete explanation and details. Request the information by telephone by calling the Hot Springs County Memorial Hospital Patient Financial Service's Financial Counselor at 307-864-5095. In person at Hot Springs County Memorial Hospital, 150 E. Arapahoe, Thermopolis, WY 82443.